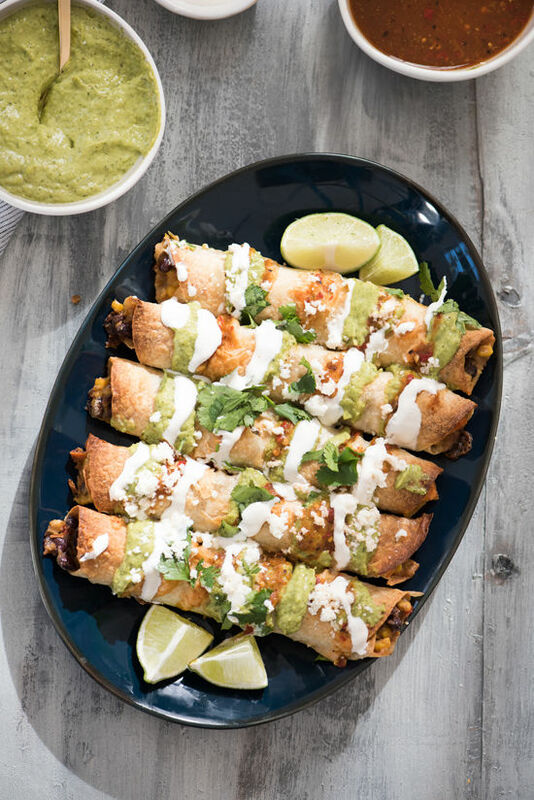 these flautas are so good, and so easy, perfect for a weeknight dinner. 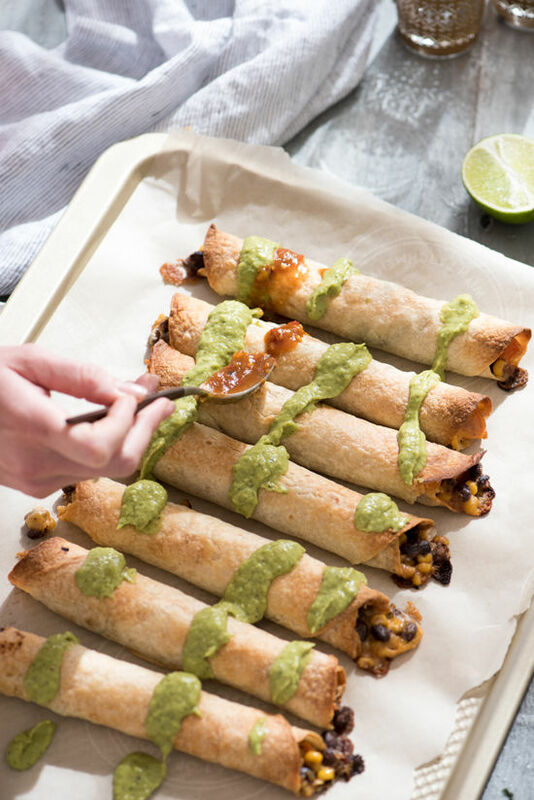 i know we’re a little late on the super bowl snack front but these work anytime. 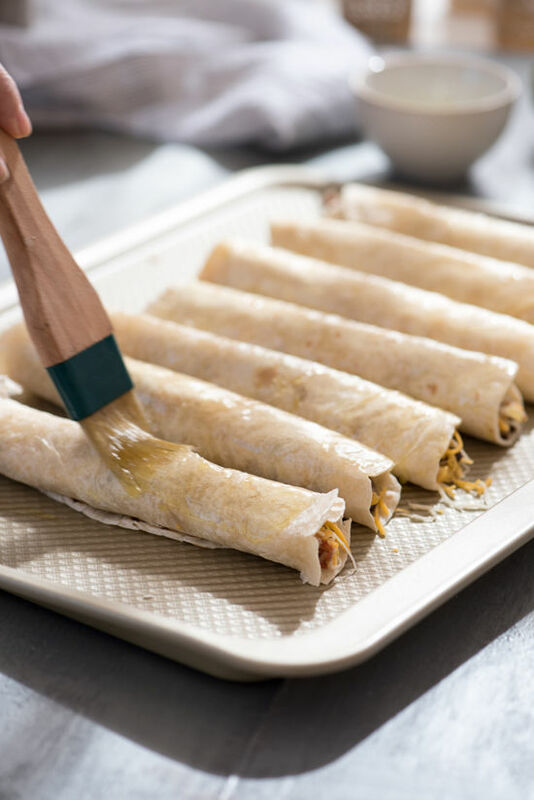 they’re really inexpensive to make, we spent less then $20 at our local latin supermarket and this recipe easily serves 5. • Pre-heat oven to 425 degrees. In a medium sized pot bring 2 cups of water to a boil. Cook the diced sweet potatoes for about 5-10 minutes or until slightly tender when poked with a fork. 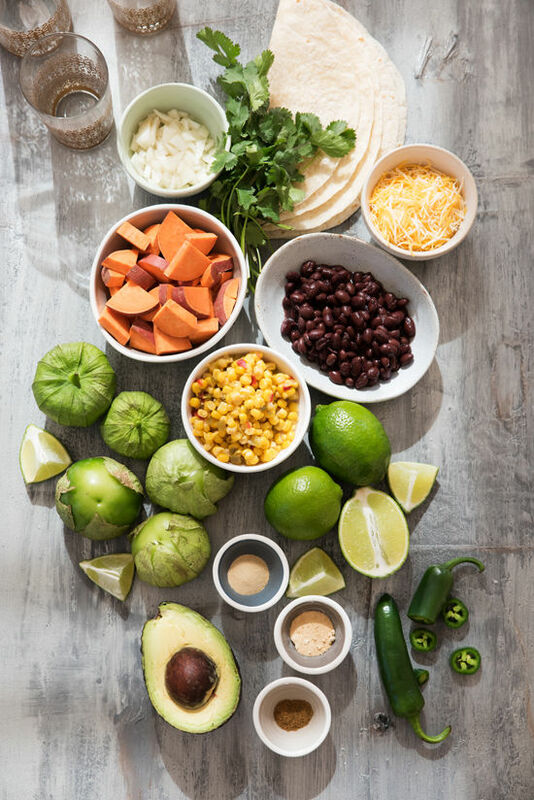 Remove the sweet potatoes and in a large bowl mix in your sweet potatoes, black beans, shredded mexican cheese, diced onions, canned corn, cumin, garlic salt, and onion powder. 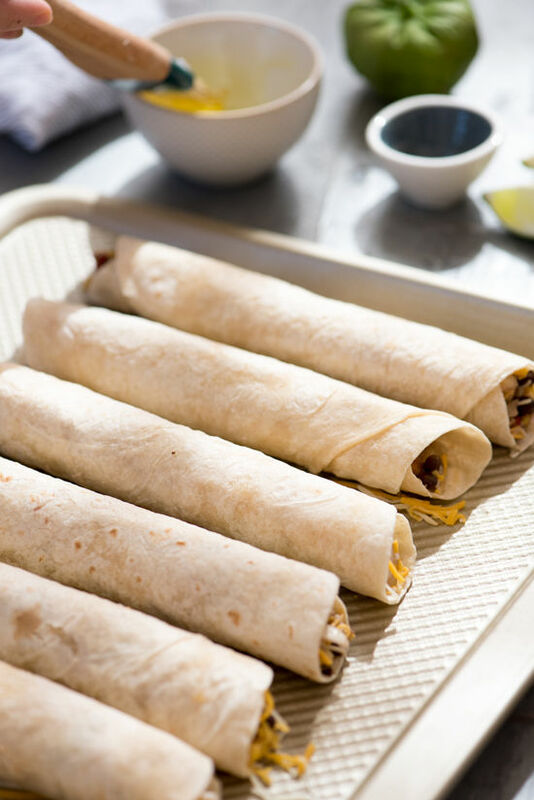 • On a large baking sheet, set your flour tortilla flat and fill generously in a line down the center of each. Roll tightly and place with the seam side down. 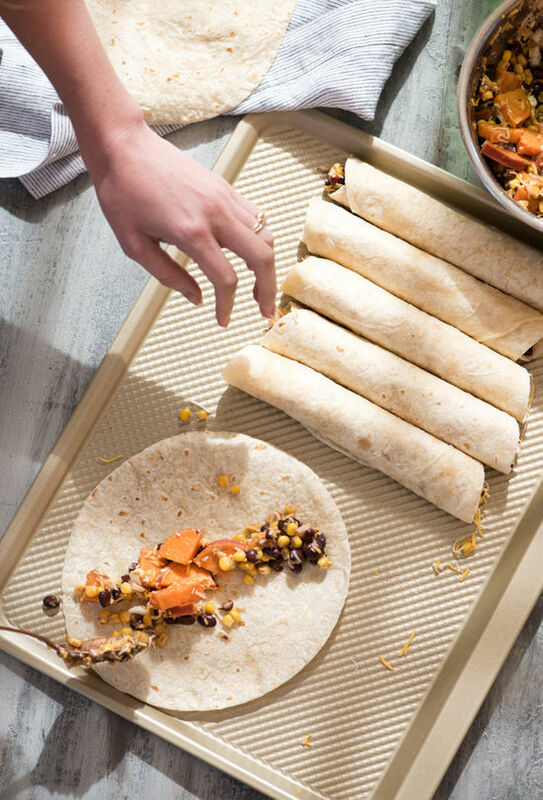 Repeat the process until the baking sheet is full. Brush a nice layer of olive oil covering the tortillas. Place in the oven and bake for 15 minutes, or until golden brown. 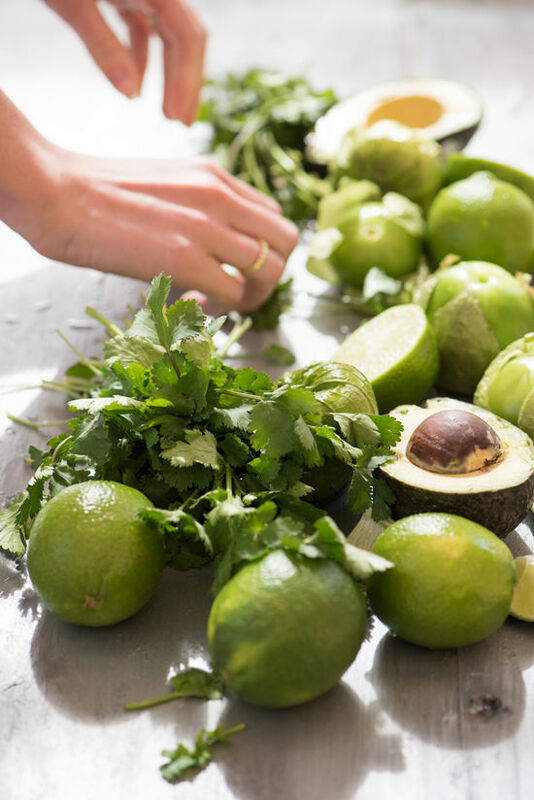 • Remove the husks from the tomatillos and wash thoroughly to remove the sticky residue. Cut the tomatillos into halves. In a medium sized skillet (cast iron or stainless steal is recommended) place the tomatillos in the skillet on medium to high heat. Roast the tomatillos on both sides, about 5-10 minutes. 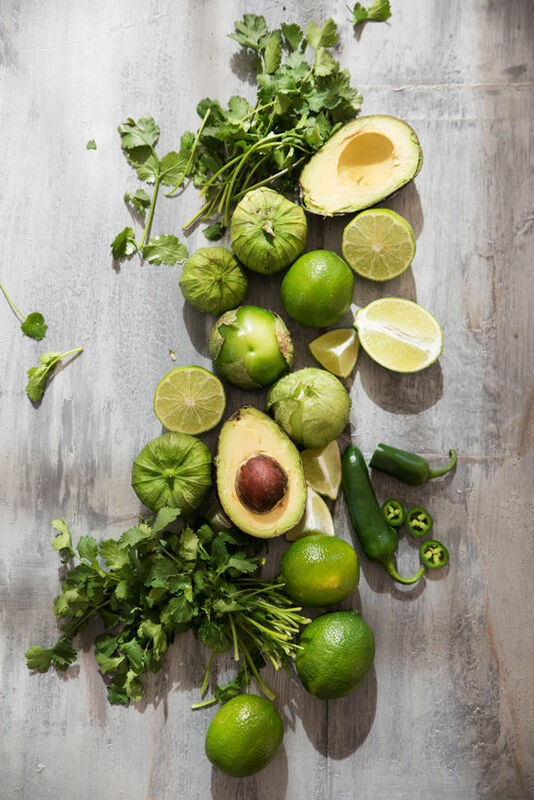 In a blender, blend the tomatillos with the quarter of an onion, cilantro, 2 limes juiced, avocados, 1-2 jalapeños (we removed some of the stems and seeds inside to reduce the heat but still retain some flavor) salt and pepper to taste. Blend until smooth. 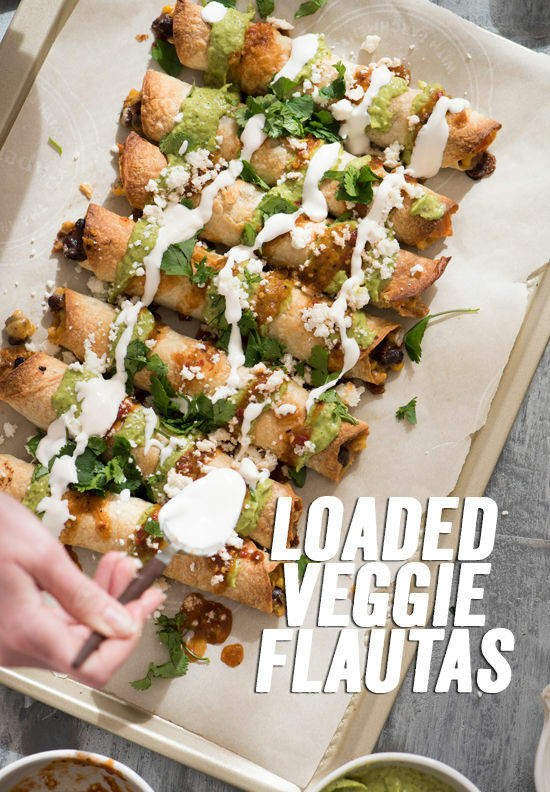 • Once the flautas are out of the oven begin to top them with your garnishes. 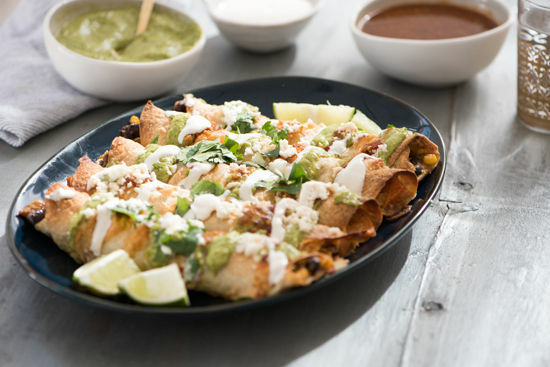 We topped ours with chopped cilantro, creme fresca, queso fresco, homemade creamy avocado salsa and red salsa. 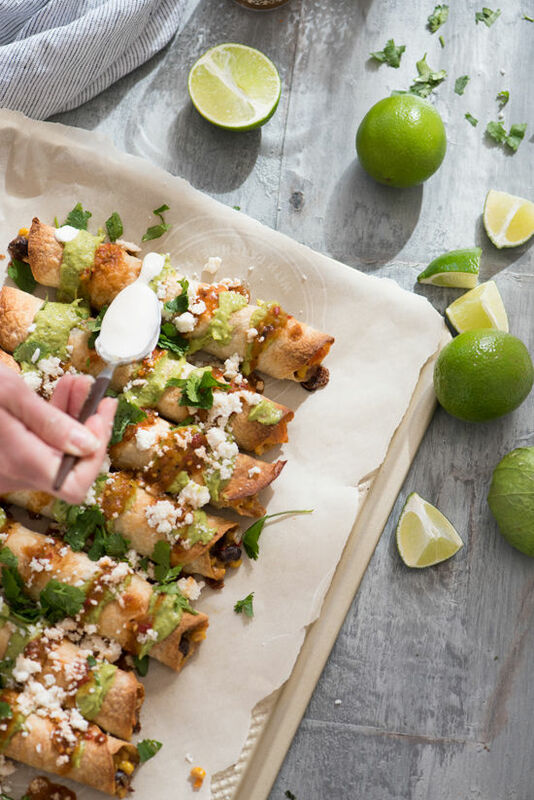 If the queso fresco or crema fresca is not available in your area some great substitutions are sour creme. 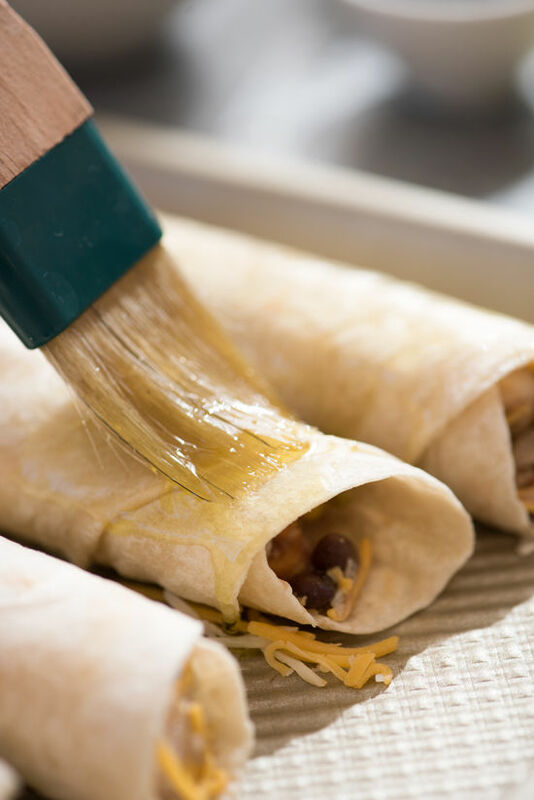 sprinkle the remaining shredded Mexican cheese blend on top. enjoy! These look incredible!! 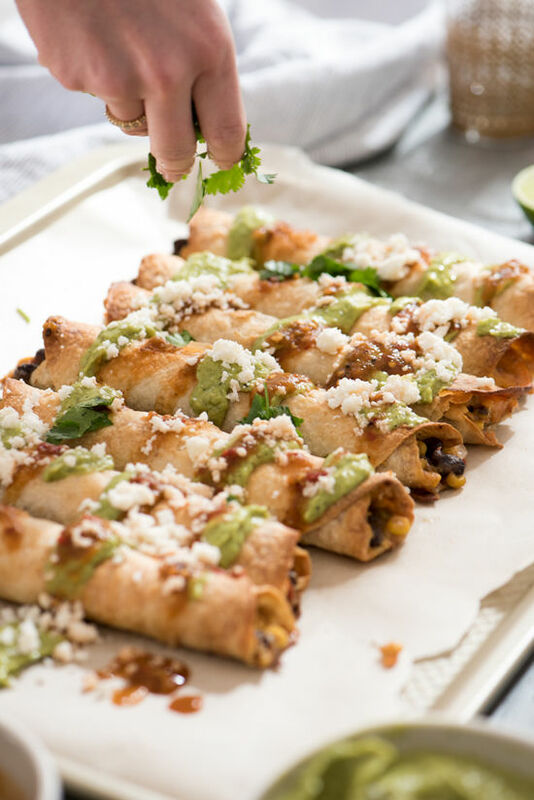 As a girl who is quite passionate about all forms of Spanish cuisine, I will definitely be making these this week! Thanks for the recipe! I love that these are baked rather than fried!